Loaded Potato Soup - GetCooking! Betty Crocker’s – Loaded Potato Soup recipe. Looking for a hearty and satisfying soup that combines comfort and indulgence, all in one steaming bowl? Look no farther than this time-tested recipe for baked potato soup, which features a rich broth and all your favorite baked potato toppings. We’d love to hear your feedback on this video recipe format in the comments section below! 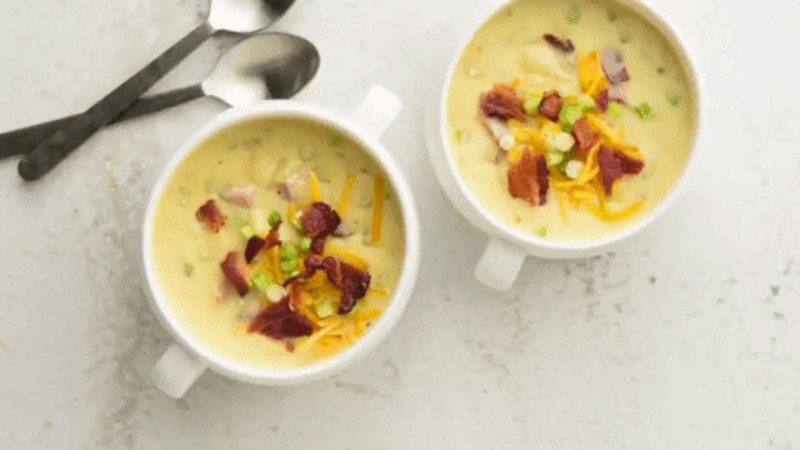 If you used this video to make Loaded Potato Soup, please tell us how it went! View the original recipe notes here: Betty Crocker’s – Loaded Potato Soup.